NASCAR shifts gears again this weekend, literally. Its top series, the Sprint Cup Series, will shift coverage of its races to ESPN beginning with coverage of the annual Brickyard 400 Sunday, July 28th. Sunday’s telecast is sponsored by Golden Corral. It all kicks off with the NASCAR Countdown pre-race show at noon ET. The pre-race show will broadcast live from the IMS’ legendary Pagoda. It all leads up to the drop of the green flag, which is expected at 1:19pm ET. Along with Sunday’s broadcast, ESPN will also handle coverage of Brickyard qualifying Saturday, July 27th at 2pm ET. ESPN2 will carry Sprint Cup practice at 9am. ESPN also has live coverage of the NASCAR Nationwide Series race this weekend beginning with pre-race coverage on NASCAR Countdown at 4p.m. ET. The green flag for the Nationwide Series race is expected to drop at 4:50pm ET. Sprint Cup Series driver and 5-time Sprint Cup Series champion Jimmie Johnson will be in the broadcast booth for part of the Nationwide Series race. ESPN will have a number of cameras covering what is one of the biggest of NASCAR’s biggest races each season. It will have a camera mounted on a helicopter to get aerial shots. There will also be eight in-car cameras that will give viewers at home an “inside” look at the race. In all, ESPN will have a total of seventy-two high definition cameras position around Indianapolis Motor Speedway for this weekend’s coverage of the Brickyard 400. That number includes four Ultra Hi Motion cameras for replays and other unique shots. Another will be mounted on pit wall near the “Yard of Bricks” at the track’s Start/Finish line. And another robotic Ultra Hi Motion camera will be mounted to show a low shot in Turn One. Turns two and four will also have cameras mounted. Recently enshrined NASCAR Hall of Fame driver and 1999 Winston Cup Champion Dale Jarrett will be joined by two-time champion crew chief Andy Petree and lap-by-lap announcer Allen Bestwick in the booth during the race. Marty Reid will take over calling lap-by-lap action for ESPN’s broadcasts of the NASCAR Nationwide Series. Nicole Briscoe will be joined by 1989 Winston Cup Series Champion and fellow NASCAR Hall of Fame inductee Rusty Wallace, three-time champion crew chief Ray Evernham, and team owner Brad Daughtery for ESPN’s NASCAR Countdown pre-race broadcast. Dave Burns, Jamie Little, Dr. Jerry Punch, and Vince Welch will all be in the pits for all of the action trackside. During pre-race coverage, ESPN will take a look at a handful of notable drivers at this year’s Brickyard 400. Those drivers are Juan Montoya, Danica Patrick, Jeff Gordon, Jimmie Johnson, and Tony Stewart. Each driver will have a special feature that focuses specifically on them during ESPN’s NASCAR Countdown. NASCAR fans can catch up on all of the latest on this weekend’s race online at http://espn.go.com/racing/nascar/. The NASCAR Nationwide Series will face the high banks and high speeds of Talladega Speedway this weekend in the Aarons 312. Points leader Sam Hornish Jr. and second place driver Regan Smith will go wheel to wheel in the next round. Hornish, who drives for Penske Racing, leads Smith by only a single point. The pair is evenly matched on the track. Hornish boasts a current record of six top tens, four top fives and one win. Smith has five top tens and two top fives. He doesn’t have any wins yet this season. ESPN will have qualifying coverage Friday at 12pm EST. Coverage of the Aarons 312 kicks off Saturday afternoon at 2:30pm EST on ESPN2. Nicole Briscoe will lead pre-race coverage on NASCAR Countdown, and will be joined by analysts Rusty Wallace and Brad Daughtery. The green flag drops at 3:35pm EST. Allen Bestwick will lead the lap-by-lap coverage alongside Andy Petree. They will be joined by NASCAR Sprint Cup veteran Carl Edwards in the booth. Edwards is currently second in the NASCAR Sprint Cup Series, behind five-time NASCAR Sprint Cup Series Champion Jimmie Johnson. Dave Burns, Jamie Little, Dr. Jerry Punch, and Vince Welch will have all the action live from the pits throughout the race. ESPN’s Lindsay Czarniak will host this year’s Indy 500. The SportsCenter co-host’s appointment to the broadcast marks the first time ever that the race broadcast has ever been helmed by a female broadcaster. 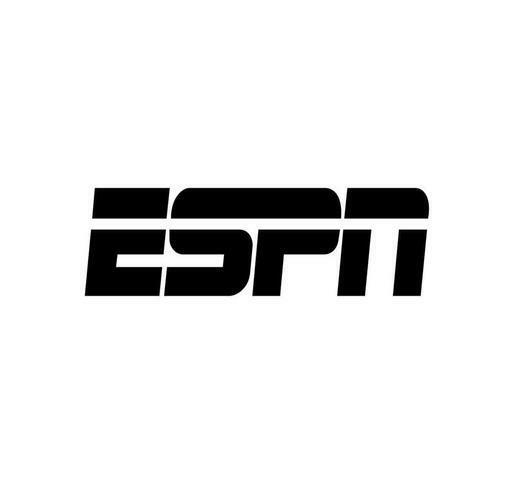 Czarniak co-hosts ESPN’s SportsCenter alongside John Anderson. Before taking on co-hosting duties with Anderson was a pit reporter and feature reporter for broadcasts of NASCAR Sprint Cup Series races on TNT and NBC. She also hosted ESPN’s NASCAR Now previously. Lindsay got her start in broadcasting at WRC-TV (NBC 4) in Washington, D.C. She worked at WRC-TV from 2005 – 2011. During her time there, she covered the 2006 Winter and 2008 Summer Olympic Games as well as NASCAR broadcasts. The Indy 500 pre-race show is scheduled to run from 11am – 12pm on Sunday, May 26th. Czarniak will head the pre-race broadcast from the IMS’ famed Pagoda. She will also help contribute to the race broadcast itself. Former Indy 500 winner Eddie Cheever will also take part in calling the race. He will serve as an in-race analyst in the broadcast booth for the race, and for the remaining five races that ABC will carry. Cheever is a former Formula One racer who won the Indy 500 in 1998. He made 132 starts in Formula One from 1978 to 1989. That is the most by any American driver in the history of Formula One racing. He returned to the U.S. and joined the former CART Series in 1990 and then the IndyCar Series in 1996. He claimed five wins in his time in the IRL, including his win in 1998. Cheever last raced in the IndyCar series in 2006. 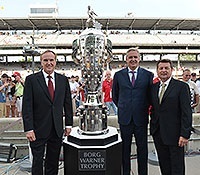 He will be joined by lap-by-lap announcer Marty Reid and fellow analyst Scott Goodyear to call all six Izod IndyCar Series races broadcast on ABC this season. Also on hand for the broadcasts will be pit reporters: Rick DeBruhl, Jamie Little, and Vince Welch. Dr. Jerry Punch will join the broadcast team in the pits for the Indy 500. The Indy 500 is the first of six races that will be broadcast on ABC this year. Each race will be produced by ESPN and broadcast on ABC. ABC’s other races include: a doubleheader from Detroit’s Belle Island on June 1st and 2nd, a primetime broadcast from Texas Motor Speedway on June 8th, the series’ race from Iowa Speedway on June 23rd, and its return to the hills of Pocono, PA on July 7th at Pocono Raceway. To get all the latest news from the Izod Indycar Series on ABC and ESPN, viewers can “Like” the ESPN Facebook page at http://www.facebook.com/ESPN and the ABC Facebook page at http://www.facebook.com/ABCNetwork. To keep up with all the latest news from the Izod Indycar Series, fans can “Like” the official Izod Indycar Series Facebook page at http://www.facebook.com/pages/IZOD-IndyCar-Series/181178948587654. To keep up with all the latest sports and entertainment news and reviews, go online to http://www.facebook.com/philspicks and “Like” it. Fans can always keep up with the latest sports and entertainment news and reviews in the Phil’s Picks blog at https://philspicks.wordpress.com. The NASCAR Nationwide Series returns to Phoenix this weekend. Drivers will face off in the desert in the Bashas’ Supermarkets 200 presented by Kawasaki. Current series points leader Sam Hornish, Jr. and the rest of the field will look to rebound this week after this past weekend’s devastating wreck in the series’ season opening race at Daytona. NASCAR Countdown host Nicole Briscoe will be joined by analysts and NASCAR veterans Rusty Wallace and Ricky Craven along with Brad Daugherty beginning at 4pm. Allen Bestwick will helm the race broadcast as he calls lap-by-lap action from the booth. He will be joined by two more well known NASCAR veterans in Dale Jarrett and Andy Petree for in race analysis. Dave Burns, Jamie Little, Dr. Jerry Punch, and Vince Welch will have the call from the pits. The green flag is currently expected to drop at 4:45pm EST/1:45 PST. The race will be broadcast live on ESPN2.